New Cloud Wallet users who downloaded and registered between August 1st 18:00 to August 3rd 23:59 (UTC+8) will be entitled to a random ADE airdrop. The airdrop will be distributed from August 6th 10:00 to August 7th 20:00 to Cobo Cloud Wallet accounts which meet all the conditions below. 1. 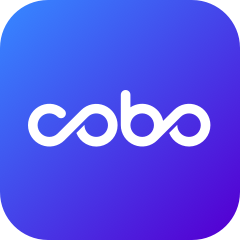 This airdrop is only available for new users who have never registered with Cobo Cloud Wallet before. 2. One device can receive a maximum of 1 airdrop. If your device has been used to register with Cloud Wallet before, you will not be eligible. ADE is the token for DMChain, which is based on Cardano (ADA). It makes use of smart contracts and data transparency to provide an advertiser with a solution that ensures security, verifiability, traceability and ease of use of transactions regardless of the size of the advertiser.